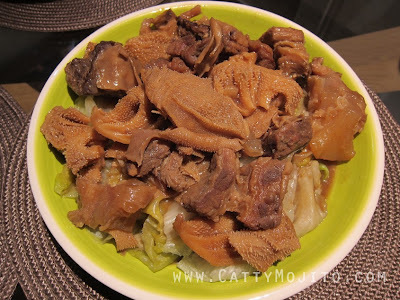 A very popular Cantonese dish in Hong Kong. I miss having beef brisket and tendon with flat noodles in soup. Braised beef brisket and tendon as a main dish is usually cooked with daikon (white radish), but I was too lazy to venture out to the market, and I think the dish is perfectly fine without it. 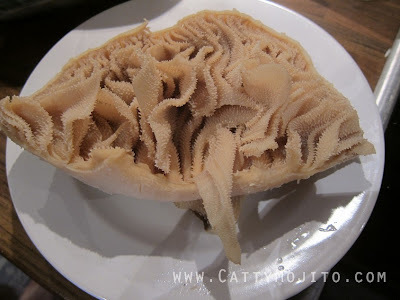 One thing in my version that's quite different from the traditional dish is the use of beef omasum tripe - it's popular in Cantonese dim sum (among other cuisines) and I think it cooks well in this sauce - it absorbs so much flavour! 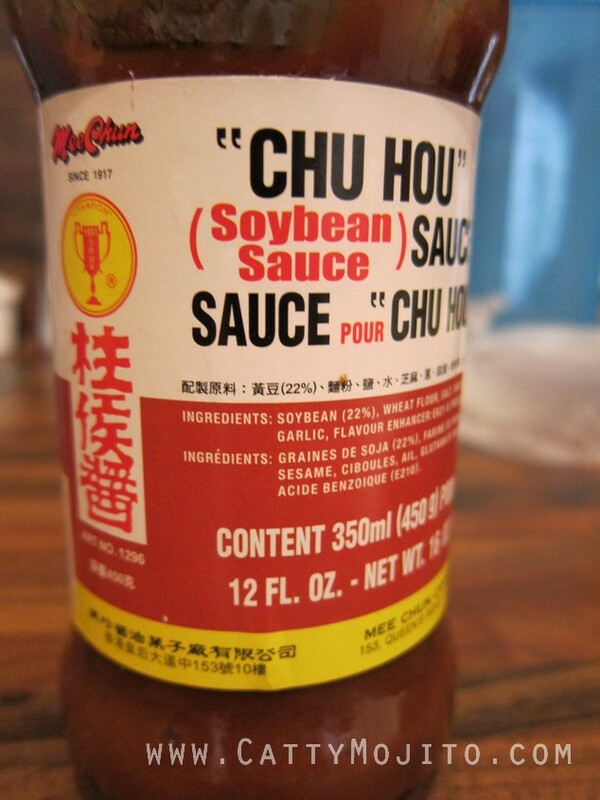 Chu Hou Sauce is essential in this dish. Though it's translated as 'soybean sauce', it is totally different from Korean doenjang or Japanese miso paste, among others. A quintessentially Hong Kong sauce, mine is actually made in Hong Kong - when so few things are made in Hong Kong now! It can be easily bought in Asian supermarkets. Blanch beef tripe, tendon and brisket separately in boiling water for 5 minutes. Drain and set aside. Fry up the garlic and ginger, add Chu Hou sauce. 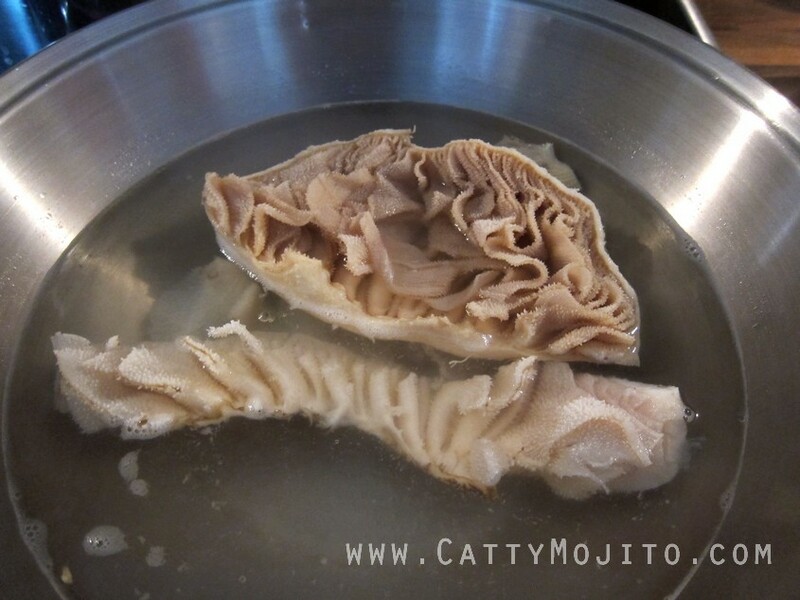 After about 2 minutes, add tripe, tendon and brisket. Stir-fry for a few minutes. Add hot water to half-cover the beef. Cook for about 30 minutes with lid on. Add cane sugar / rock sugar and star anise. Cook for a further 30 minutes with lid on. Mix light soy sauce, oyster sauce, corn flour and 2 tbsp cold water. Stir into the wok. Cook for another 30 minutes with lid on. Add salt to taste. In a separate pot, boil some hot water and cook the lettuce for a few minutes, add some salt to taste. 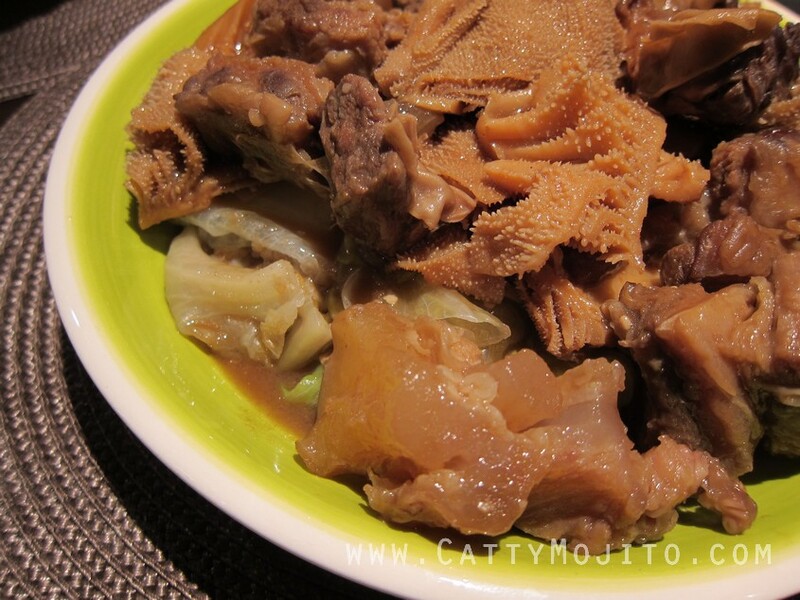 Drain and plate the lettuce, then pour the tripe, tendon and brisket and sauce on top.